The most important thing to remember while composing a CV is that it represents you as a person. That is to say your introduction is the first thing that will give the employers a reason to think about selecting you. The introduction needs to have a slice of every crucial information that is useful for the company and your selection. So you better gauge the specific wants of the company before you start writing. It is not just about what you think the company should know about you, rather you have to cater to the needs of the company. So try to write a brief introduction that touches on all the aspects of your achievements and experience that you want to share with the company without bragging too much. Definitely include data on things that will clear your path of getting your desired position in the company. If you have been in HR and feel that you are made for that post then mentioning your previous employment details is surely going to pull the scales on your side. But do not go on writing about your previous job more than you are needed to, since it can embarrass the employer to read so much about your previous work. Just try to drop in a snippet of information as reference wherever you feel necessary but never overdo it. While tailoring your CV, you have to keep every piece of information well-balanced. Even if you are letting them know your wish to work in a specific area or position, do not give away the chance of stepping out of your comfort zone. It is always not possible to hire in the position of your choice but that does not mean you have to pass up an opportunity to grow your interests and learn something beyond your known horizon for a change. So show that you are not limiting your scopes of learning and you are just as much interested to work in other positions as you would be in a position you want. Employers are always looking for people who have not taken the importance of humble livelihood for granted. Most of the time applicants make the mistake of mentioning references. While it can sometimes work to your advantage, it also takes away from your credibility an efficient and potential employee. Employers might give you less importance than others thinking that you would rather choose to play on references and notes of recommendation rather than fight nail and tooth like everyone else to get the job. Plus nobody likes a person who enjoys undue advantage. Only add a note of reference if you think it will give you a serious edge over others. And remember to use reference only after you have proved yourself as a potential employee. Honestly, tailoring your CV is quite like getting ready for show business. To be very practical, you are literally selling your talents and attributes for money. Big companies select the best people for the job on the market and pay them in exchange for work. It is as simple as that to showcase your talents while being relevant to the needs of the company. However, keep in mind not to go too out of line while making yourself seem valuable for the company. Write as much as you think will actually help you to create good impression on your employer. This is a busy era and employers are even busier. Never forget to use keywords while writing a CV. Keywords are very important in determining the course of your selection since employers do not have enough time to go through each CV word by word. They just glance through as fast as possible while simultaneously gathering information on all employees. So it is undoubtedly a safe call to follow the golden rule of using keywords so that employers do not miss out on what you would rather want them to read more closely. Being to the point on your CV is just as important as everything else mentioned above. You have to offer them glimpses of what they are going to gain if they hire you without writing too much. Being drab on CV is the last thing you would want for yourself if you really want to bag the dream job. So make sure you are writing just as much is needed to let them know. Do not keep on writing or bragging about your past achievements if you do not have anything else to write. Doing that will do more harm than good. The best way for applicants to try their best to get their desired positions is by breaking the ice with the employers. An employer expects you to have all round knowledge of the job you have applied for. More importantly you are required to keep in mind what the particular company stands for. For example, if it is a company that makes software then you are expected to be able to deal with any problems regarding programming. As an applicant it is your job to make them feel at ease enough to accept you as one of their own. Talk about the specific set of skills you have which can be used for a particular position. You can totally bring yourself to be extremely skilled in a few chosen skills meant for a particular role or position. By doing so, you will automatically give yourself an advantage of being most likely chosen to the position of your choice. Mentioning a set of skills you are really good at is going to give the employers heads up that they would achieve much more if they let you work in the field you are comfortable in. It is always a plus point to develop expertise on a specific field of work as it will always play on your strength. Using your qualifications is a great tool to grab the attention of the employers. While it is true that having qualifications is a great way to increase self-worth, there is no better use to them than helping you pocket the position you have always longed for. 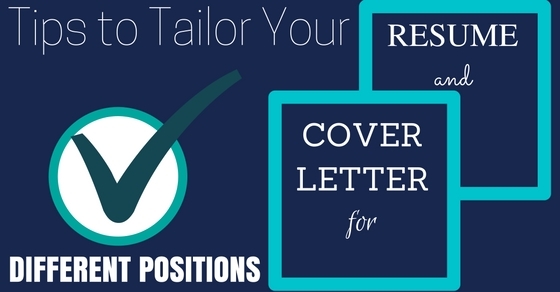 Adding your qualifications to the cover letter does wonders for your chances of getting selected. If you have always wondered that when would you actually get the chance to flaunt your qualifications and put them to good use, then this is the right time to make the most of it. Employers appreciate the ability to speak up in applicants. So try to be as much vocal as you can be without coming off as rude or blunt. Do not speak in a manner that will make it seem that you are full of hot air. So often applicants make the mistake of assuming that having respectable qualifications means you have the employers at your disposal. Having a mentality like that will never get you far and if anything happens, it will spoil whatever chances you had of getting the job. Be subtle when you are sharing your expectations. Write what you expect and not what you want. Moreover, give enough reasons as to why you think your expectations are justified. Companies detest opinionated interns but that does not mean that everything or every opinion you express will go against you. When you are about to give an opinion in your cover letter, think what you are about to say has enough argument to back it up so that it cannot be used against you. If you have an orthodox mindset then practice achieving more flexible bent of mind little by little. So that when you finally express your opinion it is not regarded as bias or hasty conclusion. Always keep other doors open while expressing your choice of a position you would like to work in. It is normal to not get what we think we deserve in every walk of life. You have to come to terms with the fact that there is always the chance that there is someone better than you who deserves the position more than you. So do not end your choice at the one position you want the most. A wise man would always opt for the next best thing and keep the options open for himself. Write in extremely fluid language if you are trying to make the employers notice. More often, applicants mistakenly think that the best way to grab their attention is by using high vocabulary. In contrast to what they think employers actually have an easy time going through resume written in simple language. They hardly have two minutes to look at each resume so they are really not going to waste time on any complex write up. Also you can say this is the first ever test when you apply for a job where the employers judge you on how well you have been able to express your opinion without using complicated language. Employers are on shortage of time to be paying proper attention to all the resumes equally. A simple way to fix this problem is to keep repeating what you want them to notice the most in different ways. Do not write the exact same thing again once you have mentioned it. Instead, try to write about things that will point to what you have said earlier. Doing so will also make your argument strong as you are giving several points of view to prove something you truly believe in. However, do not make it too boring repeating the same thing over and over again without any change in tone or expression. Dig up as much information as you can on the company you are applying to. This gives you an edge in gauging what the company wants from employees. Most of the time either a company has specific needs from its employees or their requirements keep changing with each passing year and advancement. So you have to keep tabs on the company’s movement and strike when the time is right. Which is to say that you will have to use all the information you can gather to your advantage making yourself seem of use and likely to cater to the needs of the company more efficiently than others. Just filling up applications is never enough if you want to get the job let alone work in the position of your dream. You have to tailor your CV and resume to flawless perfection so that it feels like heresy for the employers to reject you. And the above given points are the ingredients to the perfect mixture of all the right things to say to get what you want.